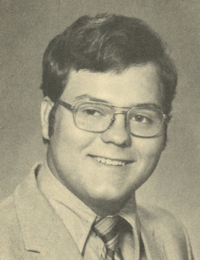 Obituary – King, Kyle Kenneth « Perry High School Alumni Association, Inc.
Kyle Kenneth King, 53, of Perry, passed from this life on August 7, 2011, surrounded by those he loved. Services have been entrusted to the Perry Funeral Home and a Wake Service will be held Tuesday, August 9, 2011 from 6-8pm at the St. Rose of Lima Catholic Church in Perry. A funeral service will be held Wednesday, August 10 at 10:00am in the Perry High School Auditorium. Burial will follow at the Sumner Cemetery. In lieu of flowers, the family requests donations be made in Kyle”s name to the Perry Firefighters in care of Perry Funeral Home, 203 E. Fir, Perry, OK 73077. Kyle King was born on April, 21, 1958 to Earl Kenneth and Donna Rae (Thompson) King in Perry, OK. He attended schools in Perry, graduating from Perry High School in 1976. After graduation, Kyle went to work for Ditch Witch and was employed there for more than 15 years. During his last 3 years at Ditch Witch, he joined the Perry Fire Department as a volunteer firefighter. He quickly realized that being a firefighter was his calling. 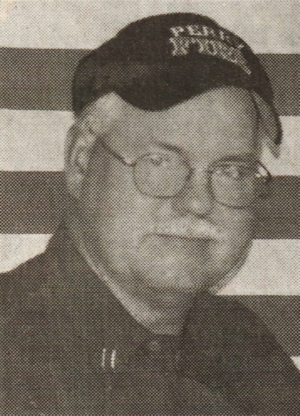 In 1991, Kyle joined the Perry Fire Department. He has bravely served the community as a firefighter and E.M.T. for more than 20 years, attaining the rank of Captain. On June 16, 2010 Kyle married his best friend, Teresa Taylor, in Perry, OK. Although their years together were shorter than they had planned, there was a lifetime of love fit into those years. When he was not working, Kyle enjoyed several hobbies. He loved taking day trips with Teresa to see the countryside, traveling, wood working, teaching fire prevention to local students, welding, and being outdoors. He was a member of the St. Rose of Lima Catholic Church, Knights of Columbus, Oklahoma Fire Fighters Association, and the International Association of Professional Firefighters. Kyle was a selfless and generous man who is described by those who knew him as a goofball. He enjoyed life to the fullest and loved spending time with his family. Kyle King was a brave firefighter, an amazing husband, a loving father, an adoring grandfather, and a faithful and loyal friend. He will truly be missed by his family, friends, and the entire community of Perry. He is survived by his wife Teresa, of the home. One son: Jason Edgar and wife Amy, of Inwood, WV. Three daughters: Falon King, of Sand Springs, OK, Angel Mast of Cainsville, MO, and Leslie Hagelberg and husband Terry, of Berryhill, OK. A brother: Mike King and wife Brenda, of Perry, OK. A sister: Kim Fisher and husband Mark, of Perry, OK. Parents: Earl and Donna King. Seven grandchildren: Ashlee, Kaden, Mason, Alexa, Addy, Easton, and Audrey. He is also survived by numerous nieces and nephews.